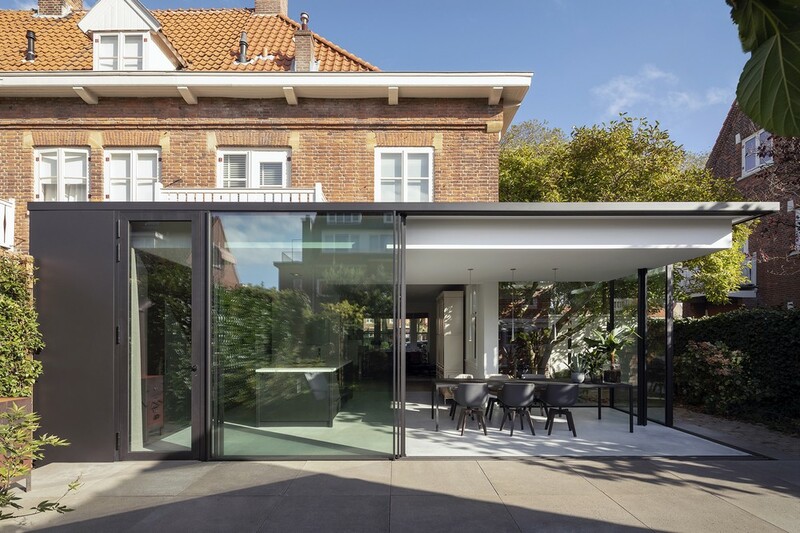 In The Hague’s Vogelwijk district in The Netherlands, a minimalist house extension contrasts sharply with the expressive brick architecture of a 1927’s house, exposing the ‘hidden’ qualities. 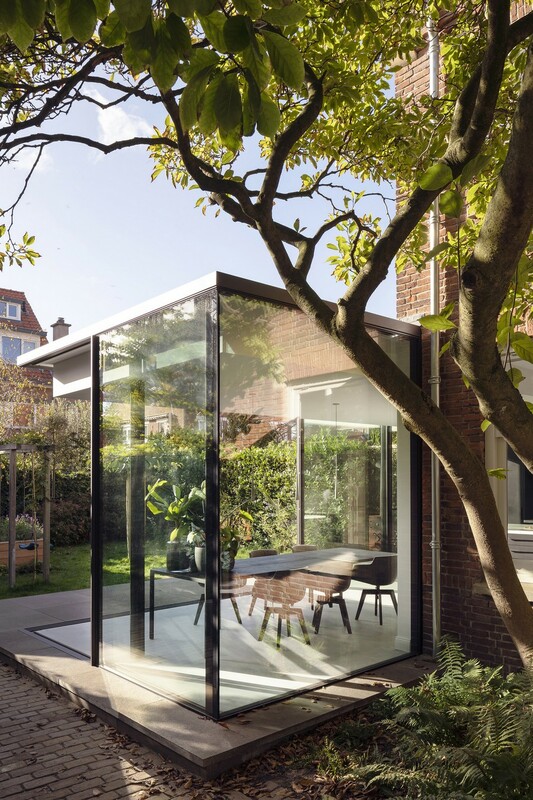 The house has an original annex at the front side with behind it a beautiful fig tree in the garden that was not visible from inside the old house. 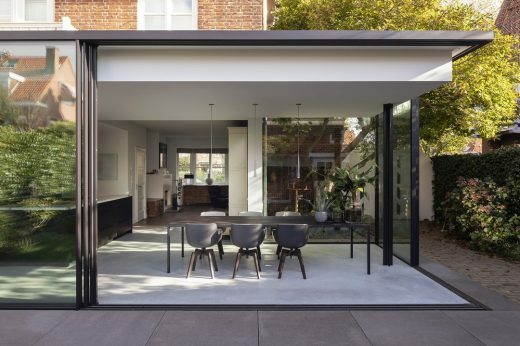 Because the new extension extends beyond the existing width of the house, the glass extension is going into a relationship with the existing annex. This creates a semi-enclosed outdoor space around the old fig tree. By widening the extension, a third world arises around the hidden fig tree alongside the old and the new world. 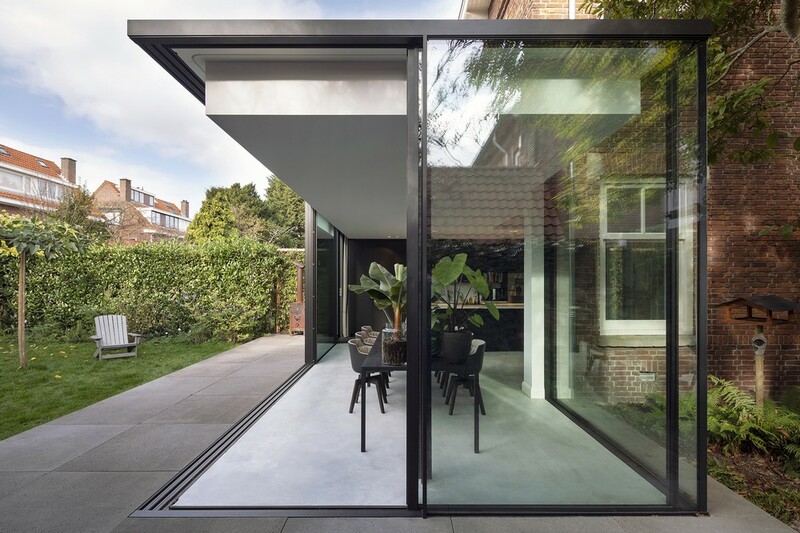 The design for the extension of the house balances between a sharp contrast and the relationship it has with the existing ‘hidden’ qualities of the house. 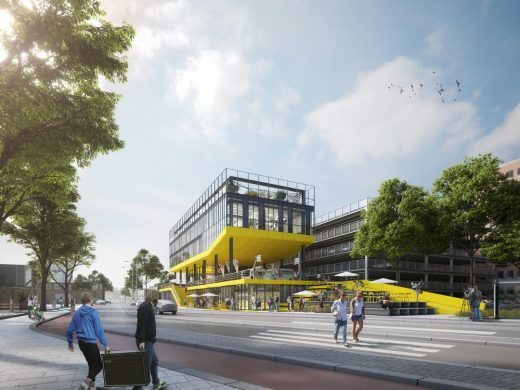 The existing architecture from 1927 has elements of Art Nouveau and the Amsterdam School. The new addition adds a sharp contrast to the expressive brick architecture through minimalist detailing. The fully glazed façade has a minimal roof ledge and glass that runs to the level of the garden. 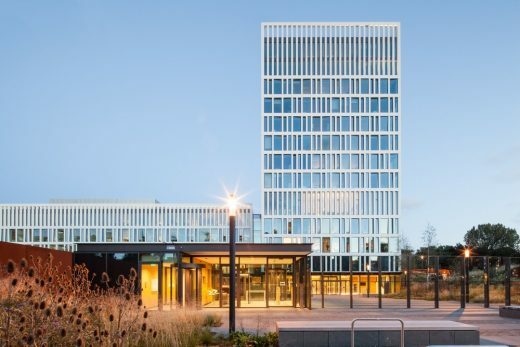 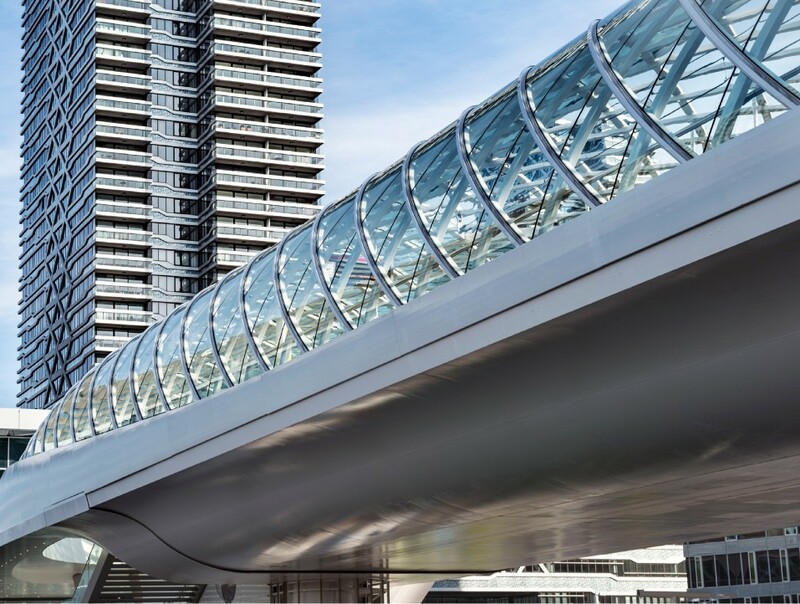 From the inside, there are virtually no visual barriers to the outside, to which view and daylight are given free rein. 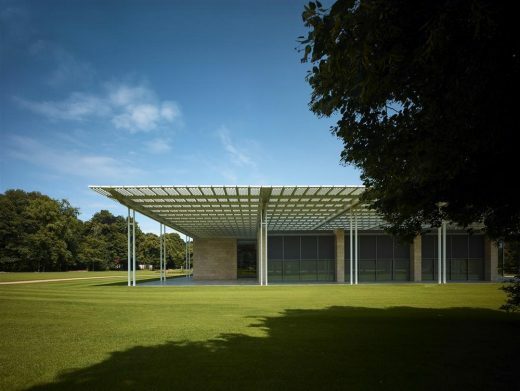 The construction of the extension is kept out of sight but for one plus-shaped column, which makes the roof of the extension seem to float. 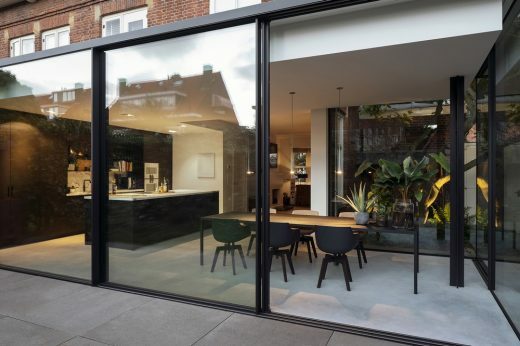 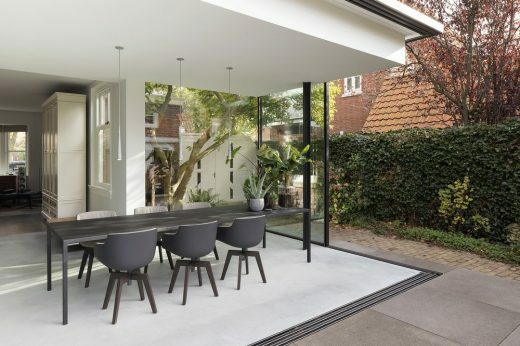 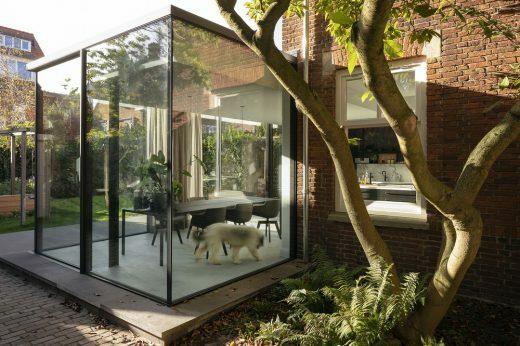 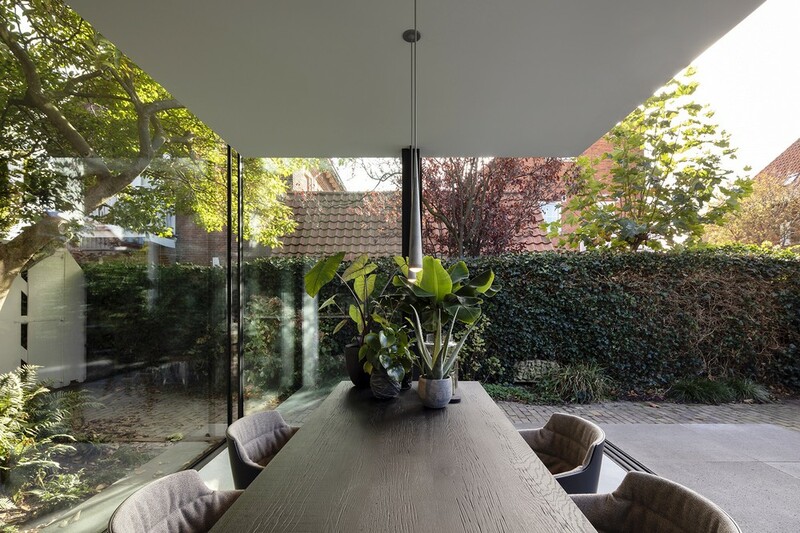 The glass facade can open up to a large open corner, which makes the dining table feel as if it is in the outside space. 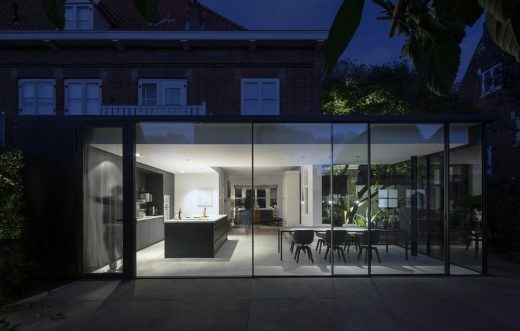 This is in contrast to the modest kitchen and dining room with less natural light in the original house. 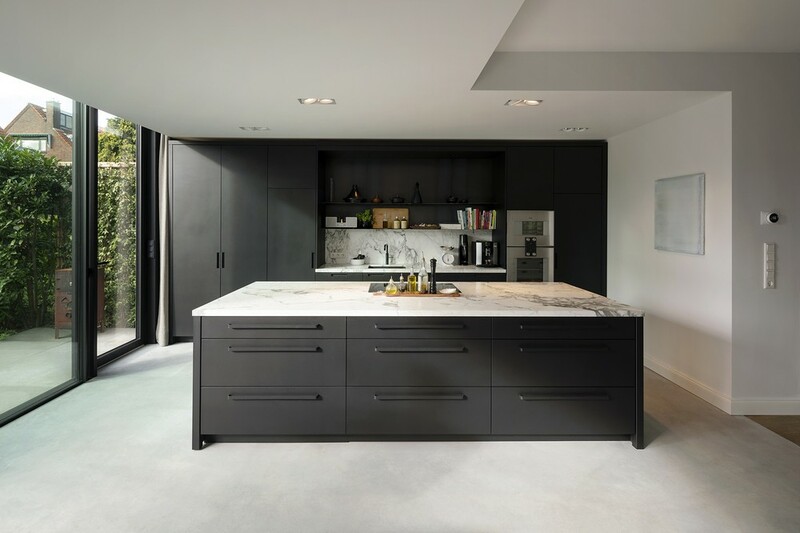 In the interior the concrete floor and the new kitchen wall have been used to connect old and new. The floor and the kitchen penetrate into the existing home and in this way mix old and new through sharp lines.